The Game often gets overlooked when it comes to Fincher's resume, and it is easy to see why with the masterpieces he has put out in the world, Zodiac for example. However, after watching 2019's Escape Room, my wife and I were in a mood to watch a mystery thriller that was good and delivered on, well the mystery and thrill. The Game was an easy choice, and a great excuse to restart the Modern Classic section of my website. The story follows Nicholas Van Orton (Douglas), a wealthy banker that on his birthday his given an invitation to participate in a mysterious game by his brother. The game turns his life upside down, leaving him unable to distinguish between the game and reality. John Brancato and Michael Ferris wrote a compelling screenplay, full of interesting characters, fun action sequences and enough twists and turn to keep the audience guessing and engaged. I ultimately bought into the absurdity of the game, how it can engross a person's life, to the point that you cannot trust your family members. By the end, you are just as tired and confused as Nicholas hoping for any reveal, as long as it is the truth and the game can end. The tone of the film is kept throughout as the audience is just as confused and tensed as Nicholas, second-guessing everything that happens to him as you might never know if it’s part of the game. By the end, you are just as tired and confused as Nicholas hoping for any reveal, as long as it is the truth and the game can end. David Fincher delivers behind the camera with every scene immersed in his dark low lighting esthetic we all now come to expect. Every set is perfectly designed, as each prop placed has a purpose within the plot of the story. My favorite scene is when Nicholas walks into the cafeteria of CRS, and everyone slowly realizes that he is there with a gun. The use of bright light in this scene reflects the realization of Nicholas is having at just how big the rouse played on him was. If you read anything Fincher has said regarding the film, he does not see it has a “Scrooge” type story, rather a dissection of the filmmaking process itself. CRS the designers of the game are the producers, writers, and directors of the film Nicholas (the audience) is experiencing. When viewing it that way, rather than an extreme version of a Scrooge story, the story takes on a whole new light. The power of illusion. 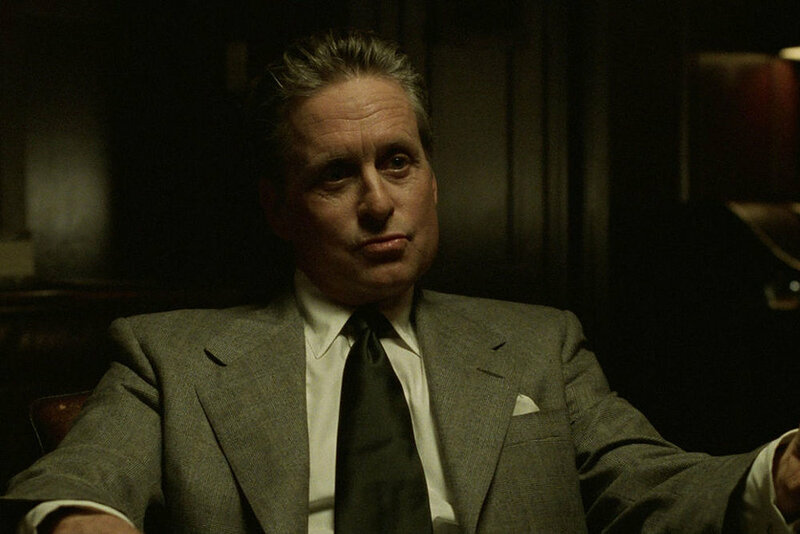 The acting from Michael Douglas is perfection as he starts in his comfortable uptight businessman persona and we slowly see his world unravel. The opening sequence we see Douglas in full command of his world, telling everyone around him what to do and them saying immediately "Yes, sir.". This perfectly sets up the contrast of the broken man we see by the end, and the “lesson” he had to learn at such an extreme way. Sean Penn is good in short doses, as the “black sheep” brother set in his ways. The Game is not the best Fincher film (Zodiac), and it is not the best Douglas film (Wall Street), but this tense mystery thriller is head and shoulder above many that claim to be in the genre today. With a script that boasts sharp and witty dialogue and a compelling story filled with twists and turns, the audience is captivated from the opening sequences and is along for the ride till the very end. Fincher’s style shines throughout the runtime and Douglas performance gives enough wait for the tension to feels real and infectious. David Fincher is why I love movies. The Game is a Glass Half Full.